The mission of Morris Organizers is to help home owners feel comfortable in and emotionally connected to their home, organized in their life, and at ease during the home selling process. Our founding principles are dignity, empathy, patience, and trust. While some projects may simply require unpacking boxes or rearranging a pantry, many others deal with family heirlooms, confidential materials, or other emotionally charged items and spaces. Morris Organizers have always demonstrated compassion and understanding in their projects, and strive to keep their customers happy by talking with them about their wishes and goals, and taking a carefully planned course of action to see that the best possible outcome is reached. Barbara and Russ have known each other for almost 25 years! After having collaborated on a number of organizing projects over the years, they worked together to stage a home for sale. On first sight the listing agent said, “Wow! You guys should do this professionally.” After careful deliberation they decided to follow her advice, and Morris Organizers was born. Barbara comes from a background in the service and customer relations industry. After earning a degree from the Fashion Institute of Technology, she worked as a buyer for Macy’s, Inc., and served on the consumer concerns committee for a Fortune 500© company. She took a few years off to start her family, and in subsequent years has worked in the travel industry. Russ has focused his training in the arts. For years he has worked with non-profit arts organizations, serving as director and production designer for countless projects and exhibitions. His work has received state and national recognition, and has earned him both a Masters degree and a position as a brand ambassador for a leading music manufacturing company. 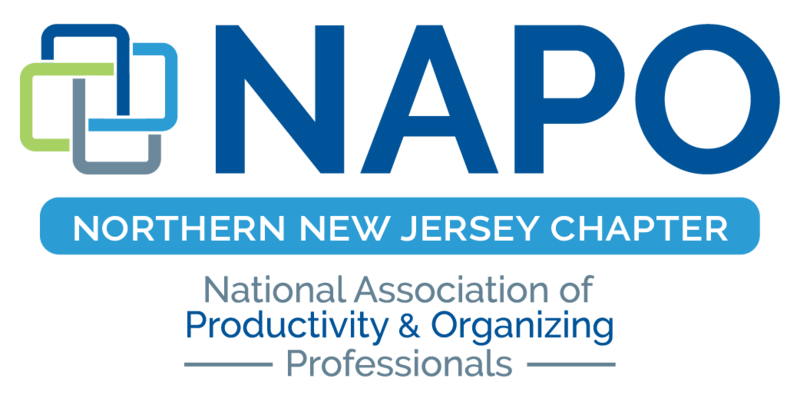 He serves on the board of NAPO-NNJ as the Director of Communication and Technology, and was proud to be awarded the 2014-2015 Organizer of the Year Award.